Adelaide Therapy Centre provides a professional clinic environment for a range of specialist allied health clinicians. The aim of the clinic is to provide expert treatment over a range of professional areas. All our therapists are registered with their relevant professional bodies. 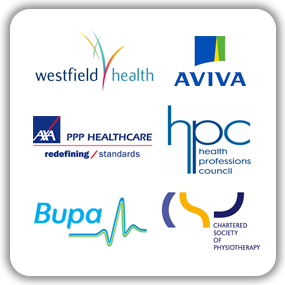 All of our Physiotherapists are registered with Health & Care Professions Council HPC. The aim of the clinic is to provide expert treatment over a range of professional areas. All our therapists are registered with the relevant professional body (Health Professions Council HPC). Adelaide Therapy Centre is proud to be able to offer some of the best practitioners over a variety of clinical specialities. Our Norwich based clinic offers a first class physiotherapy service lead by Phin Robinson MSCP. Phin developed the prestigious Pure Physiotherapy clinics in Yorkshire and in 2010 he moved to Norwich with his family. Pure Physiotherapy has gained a prestigious reputation for clinic experience and continues to work with national sports teams and individuals including the PGA golf tour. Now based in Norwich, Phin and his team picked the Adelaide Clinic as their main clinical location. "The facilities are great! It's modern and clean with all the right equipment. Since coming back to Norwich we have been really lucky to find Adelaide Therapy Centre and it is the best place for us to provide our service"
For more information on the Physiotherapy and Acupuncture services please follow the links. I was told by a previous physio that nothing could be done for my ankle problem and I would never play football again. Having received expert treatment and by following a specific programme, I have returned to 5-a-side football once a week. My back is 100% better now. I can't believe how much improvement a few sessions can make. Thanks so much!! This is a great company to work with. They helped me get back on my feet in no time. I have never had acupuncture before and I can't believe the difference it has made for my chronic back pain. I am now able to control the symptoms and have got back my normal life. The professionalism and knowledge shown during the treatment was great. I really felt in good hands. I've never know pain like Sciatica. Following a referral made by my doctor, I was seen by a really friendly physiotherapist. I can't believe the difference in 4 sessions - Many thanks.